In the basement of my grandparents’ house hung a shark’s jaw of teeth. My grandfather had captured the shark on one of his deep sea fishing adventures. 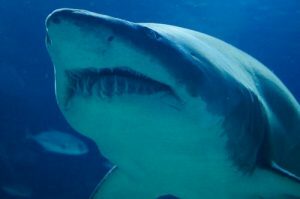 I would touch the points of the teeth trepidatiously and wonder. Upstairs, in the sun room, stood a near fossilised swordfish’s sword. Today, it stands in my sister’s sitting room. I wonder if her family think about about the story of this item. Grandad was a John Wayne/ Steve McQueen type of man. He survived Gallipoli. His bride nursed him before emigrating from genteel SW London for New Zealand’s untamed wilderness. Grandad broke that wilderness to create a sheep farm. Grandad was not an empathetic husband, father or grandfather. Yet I loved him when he sat me on his lap to tell me stories of whales and the oceans. Like most of my mother’s family, I was terrified of my grandfather, aside from these times he would tell me stories. During these interludes, I felt close and able to build my own impression of him. I drank in the smell of Scotch and cigarettes. I felt the fabric of his shirt, the stretch of his braces. His sinewy arms, with their faded sailor tattoo, fascinated me. I saw the curl of his hair at the back of his head and compared it to my mother’s curls. My grandmother was a storyteller. Her tales of childhood, her siblings, boarding school and nursing threaten to become a story one day. 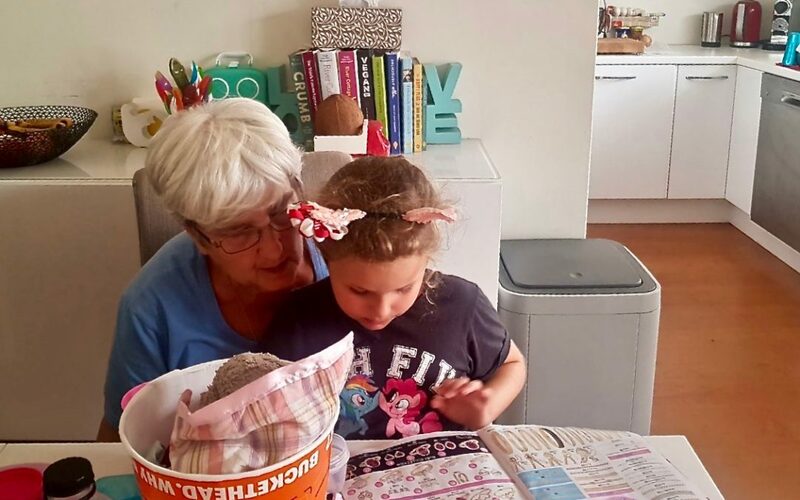 Grandparents offer a wealth of storytelling potential. 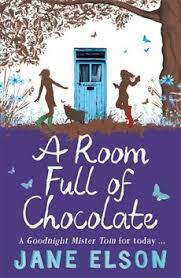 Jane Elson showed discord and misunderstanding between a parent and grandparent in her gripping A Room Full of Chocolate. 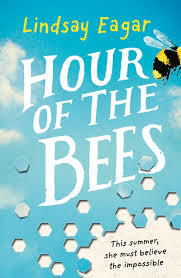 One of Mr Bookwagon’s favourite titles, Hour of the Bees has the main character desperate for her grandfather to ‘tell me stories’ to make sense of her life. 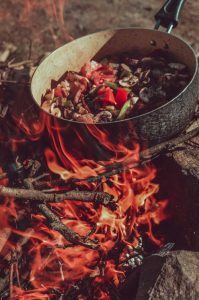 This week, we included A Witch Come True the third part of James Nicol’s warm- as- buttered- toast stories about Arianwyn aboard the wagon. I felt reassured whenever our main character’s grandmother was present. She enabled Arianwyn to confirm her instincts and role. 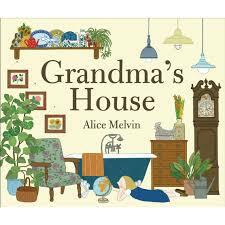 Alice Melvin created Grandma’s House, a lift-the-flap, picture book memoir of her grandmother’s home. 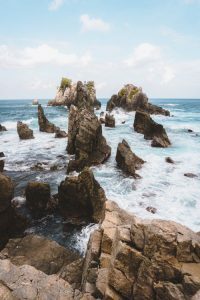 This visit invites us to join her as she revisits nooks and crannies, mementoes and her grandmother’s history. Alice Melvin’s forever picture book tells me stories of love and familiarity. 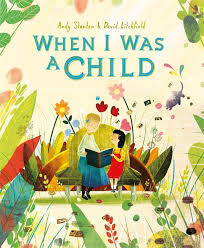 When I Was a Child is a lyrical fantasy of memory and stories. Nostalgia for a golden age of wonder and possibilities is bridged by a greying sadness at the passing of time and a loss of hope. The child who picks up the story demonstrates empathy and positivism in her response to her elder. There is still wonder. Possibilities exist. The words and pictures are like a kaleidoscope of stardust. At the turn of the twentieth century, dance and deportment teachers over sixty years of age were unlikely adventurers. 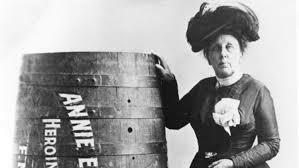 Award-winning picture book maker Chris Van Allsburg recreates the story of Annie Taylor, the first person to ride a barrel over the Niagara Falls, in Queen of the Falls. I appreciate the dramatic way her story unfolds, from her ‘Eureka’ moment. Some years ago, I read Joseph O’Connor’s ‘Star of the Sea‘. 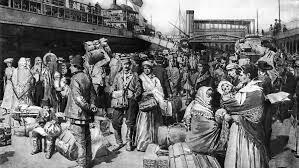 A little way in, I realised the passage of Irish emigration described would have been similar to that taken by my great-grandmother and her parents. They travelled from the county of Leinster in the same year as that story. I smelled the ship, felt the fear, sadness and sense of possibility. The writer created a connection to someone I never met. There was a sense this long ago relative might tell me stories. Maggie follows the most important rule of all, ‘Never go beyond the boundary.’ Her younger brother Trig urges her to ‘tell me stories’ of how the wanderers over the boundary attacked the Wetheral family. Her older brother, Jed, is an eldest, destined for heroism upon his fourteenth birthday. when he will head to fight The Quiet War. 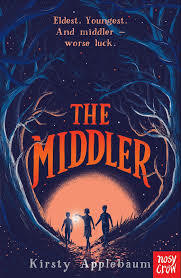 The Middler is a story of acceptance, honour and sacrifice. 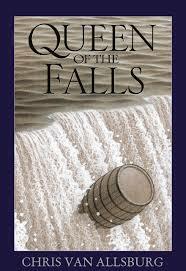 What happens when Maggie steps over the boundary and changes the stories of Fennis Wick? 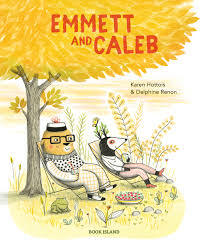 Emmet and Caleb have little in common. One awakens early, while the other lies awake star gazing. One digs for nature or tinkers, while the other naps. We wonder at their friendship when they are such different characters. Yet Emmet and Caleb know and respect each other. Across a year, we view their friendship. This is an intelligent and heartfelt storytelling. I caught some of writer Maz Evan’s presentation at Reading Rocks South West. Aside from her star-spinning Who Let the Gods Out? series, Maz teaches creative writing to children and writing. She recommends that writing is a ‘stew pot’ into which the first necessary ingredient is character. It makes sense. When I read, I want to know the character. When I meet someone, I want to know the character. In sitting with my grandfather, or listening to my grandmother, I longed for them to tell me stories. 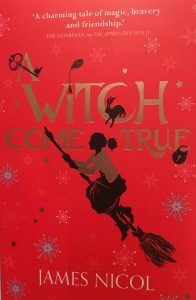 Maggie, or Arianwyn, or Annie Taylor, or all the other wonderful characters whom I meet in reading every book we sell, tell me stories. In the aftermath of the horrors of the terrorist attack in Christchurch, New Zealand Prime Minister Jacinda Ardern offered the victims’ stories. She sought to recognise and respect them. 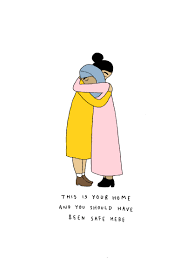 Such action has provoked empathy and a sense that New Zealand, as a nation, might chorus, ‘We are one’. Listening to, sharing and reading stories, builds knowledge and understanding of different characters within a tolerant and communicative society. What are your stories?